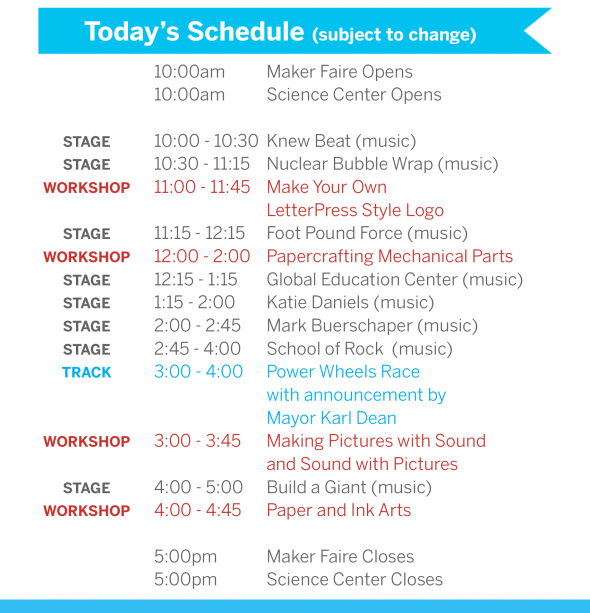 The 2014 Nashville Mini Maker Faire was last Saturday, and I had an absolute blast! Erica Ciccarone and I displayed 3D-printed objects and textile art at the Make Nashville booth. I also taught a papercrafting course using Rob Ives‘ wonderful paper automata. Our Make Nashville booth and Erica’s Fancy Fox quilt. Photo by Erica. Our Make Nashville booth. Photo by Erica. Some 3D printed inventions in our Make Nashville booth. Photo by Erica. I demonstrate how to make your own carbonated soda. Photo by Erica. A local artist asked people to draw their favorite places in Nashville. Photo by Erica. A local artist asked people to draw their favorite places in Nashville. A Photo by Erica. This guy. Photo by Erica. Some young makers. Photo by Erica. A suspicious origami artist. Photo by Erica. Origami club. Photo by Erica. A future refrigerator poet. Photo by Erica. I teach a course on Rob Ives’ papercraft automata. Photo by Tony. I teach a course on Rob Ives’ papercraft automata, and Erica enjoys the company of a future engineer. Photo by Tony. I teach a course on Rob Ives’ papercraft automata. Photo by Erica. Nashville & Atlanta Maker Faires Want Your Weird Gizmos, Apply NOW! 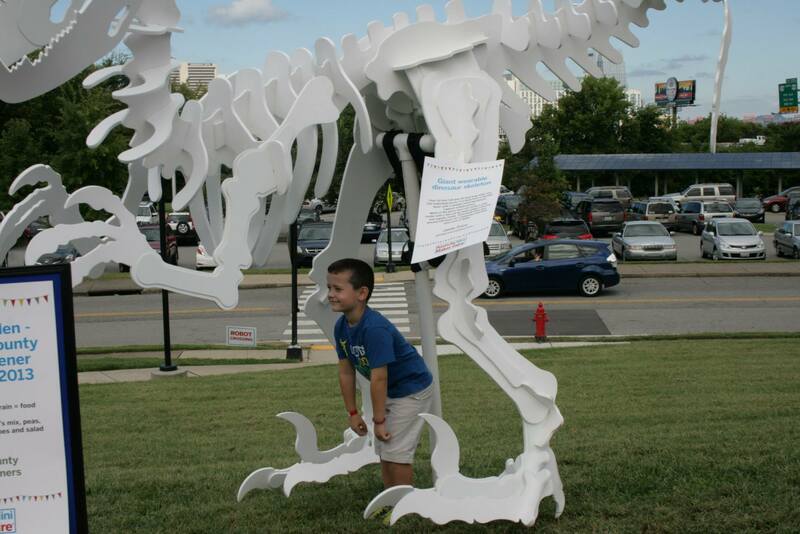 T-Rex costume by Jamie Price at the 2013 Nashville Mini Maker Faire. Photo by Becky Fox Matthews. The deadline to submit for the Atlanta and Nashville Maker faires is approaching quickly. How long do you have? Let’s just say the sooner you submit, the more likely you’ll be accepted. If I were you, I wouldn’t wait any longer than a week. Both faires are looking for makers with their own creations, as well as workshop teachers, speakers, performers, vendors, and sponsors. The second annual Nashville Mini Maker Faire takes place Saturday, September 13th, 2014 at the Adventure Science Center. Apply here. If you want to know what you’re getting into, watch this video I made of last year’s faire. The Atlanta Maker Faire has been going strong for four or so years, however, this is the first year it gets the distinction of being a “Featured” faire. That’s a pretty big deal, since there are only a handful of featured faires. Trust me, it’ll be huge. It takes place over the weekend of October 4th and 5th. Apply here. I’m organizing some circuit bending stuff for both faires, and I’m also helping run a Make Nashville booth. If you’re interested in showing off circuit bent gear or exhibiting under the Make Nashville space, please drop me an e-mail at tony@theatreintangible.com. I love making stuff. I’ve had a subscription to Make Magazine since issue #6, and every year I wish I had the funds to go to the Bay Area Maker Faire. Those of you who’ve attended the Circuit Benders’ Ball know how vital making is to experimental music culture. 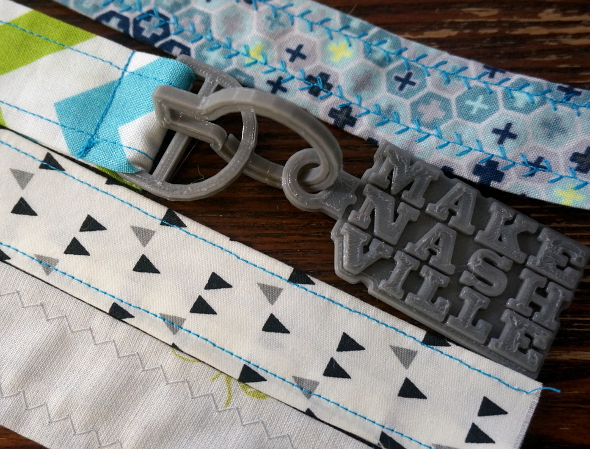 I’m part of a local maker’s group called Make Nashville (which recently merged with HackNash). We’re one of the groups partnering with the Adventure Science Center to bring the Maker Faire to Nashville. The call for makers is now open, and we’re looking for exhibitors, speakers, teachers, performers and volunteers. Participating is absolutely free, but time is running out to submit. The application deadline is August 1st at 11:59pm. As the Director of Performances, I’m seeking musicians, acting troupes, magicians, puppeteers, multi-media artist, science presenters, and pretty much anyone who has an act that happens on a stage. The performances NEED to involve making. If you’re a circuit bender or instrument designer, you’re golden. If you make your own costumes that show off your unique flair, we want you. In short, we’re looking for makers who perform. The faire will be free and open to the public. Because our funding is limited, we are unable to compensate participants. That may change as the Nashville Faire expands in subsequent years. if you’re interested in performing or any other form of involvement, go fill out an application. Do it now. The sooner the better.